What is a modular home? In a nutshell, it is a home built out of pre-constructed boxes. The boxes are shipped to the home's site, where they are assembled into a finished home. Since all of the features you find in a modular home — framing, roofing, plumbing, electrical, cabinetry, windows and doors — are the same as those you would find in a stick-built home, the main difference between a modular home and a stick-built home is where it is made. A stick-built home is made on the home's lot, while a modular home is made in a factory. Modular homes are becoming more popular because they are made in modern factories — so the construction process is very streamlined. The resulting product is more consistent, and it is made more efficiently with specialized equipment. Today's modular home is of excellent quality, is faster to construct than the traditional stick-built home, and is priced lower as well. Because modular homes are transported over long distances at highway speeds, and must be lifted by large cranes, modular home components are built to be very strong. While the walls and floors of traditional homes are held together by nails, the walls and floors of modular homes are fastened together with both nails and adhesive. Several techniques are also used by modular home builders to strengthen the framing system at its stress points. The floors of modular homes are incredibly strong, and because they are built on perfectly square jigs, they are also perfectly square. 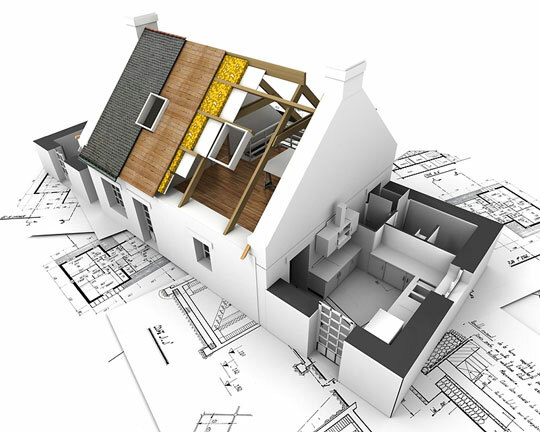 Because the bottom and top stories of two-story homes are constructed separately, the ceiling of the bottom floor and the floor of the top floor don't have to share duties. Not only does this add strength to the overall structure, but it reduces noise as well. 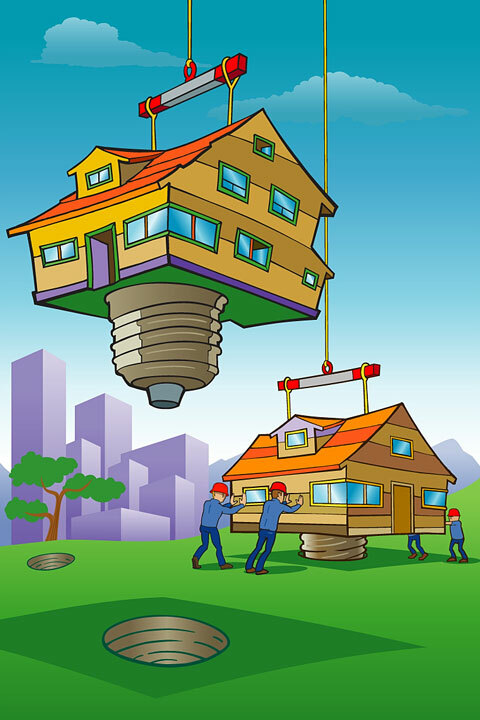 Another benefit of modular homes is that they can be easily relocated from one site to another. As a matter of fact, a modular home can be shown at a model-home center, disassembled, moved to a homeowner's site, and reassembled with no bad effects. Modular homes are also known to be incredibly energy efficient. Modular home construction techniques reduce air infiltration, a leading cause of energy loss, because they are more tightly sealed. Why are modular homes better sealed? Well, because they are built in factories, they can be built from the inside out. This allows the manufacturer to get behind the drywall to seal around electrical fixtures, windows and doors, plumbing fixtures, and other areas that air can get through. In addition to making the homes more energy efficient, tight sealing slows the spread of fire, creating a safer environment for the homeowner. How long does it take to build a modular home? Once the owner has bought a lot and obtained financing, the home usually arrives about five weeks later. Depending upon the size of the home, completion takes between three and 16 weeks. Another benefit of modular homes is that the cost is fixed in advance of construction, which means no rising costs during the construction period, even if there are rising material and labor costs. With the many benefits they offer, modular construction is becoming more popular with cost-conscious consumers interested in high-quality homes. Modular Housing - official website of the Modular Building Systems Association. Manufactured Housing Institute - factory-built housing industry trade organization. Clayton Homes - national modular and manufactured housing company. Fleetwood Homes - national builder of spacious, manufactured homes. Sica Homes - New Jersey-based modular home builder. Wardcraft Homes - Colorado, Kansas, and Nebraska-based modular home manufacturer. Dynamic Homes - Minnesota-based system-builder of custom homes. General Housing - Michigan-based modular homes manufacturer. Stratford Homes - Idaho, Iowa, and Wisconsin-based systems-built homes. Modular Home Pro - southern California-based modular home builder. This manufactured housing vendor directory lists manufactured home suppliers throughout the USA.